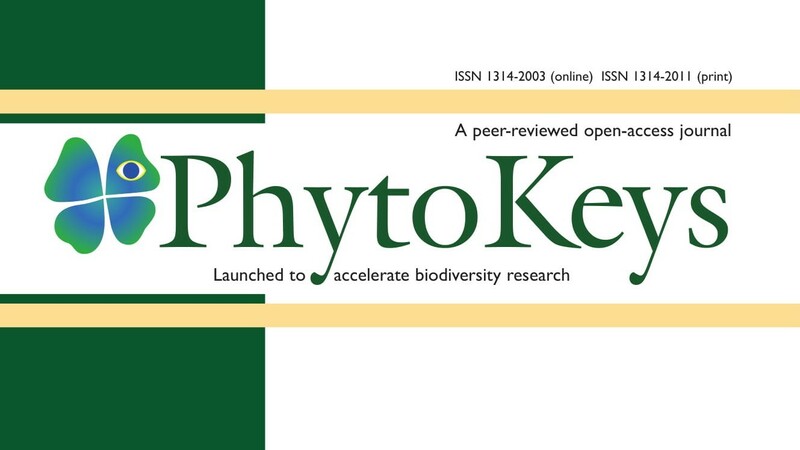 Pensoft’s flagship botanical title PhytoKeys, celebrates its 100th issue and we couldn’t resist to look back on all the exciting plant species that made international media titles and touched audience hearts around the world. With amazing 4 new species (find them in our press release) making it to the top 10 new species chart by the State University of New York College of Environmental Science’s International Institute for Species Exploration (IISE), PhytoKeys surely has a lot to offer when it comes to communicating plant science to the world. So let’s go straight to facts with our celebratory selection of 5 famous species (among many others). While hunting for the Pennsylvania state-endangered golden corydalis on steep 350-foot cliffs for a new episode of his YouTube video series, “Plants are Cool, Too!” in the heat of summer 2017, Bucknell University Professor Chris Martine and team stumbled across some interesting specimens of the enigmatic coral-bell genus Heuchera. 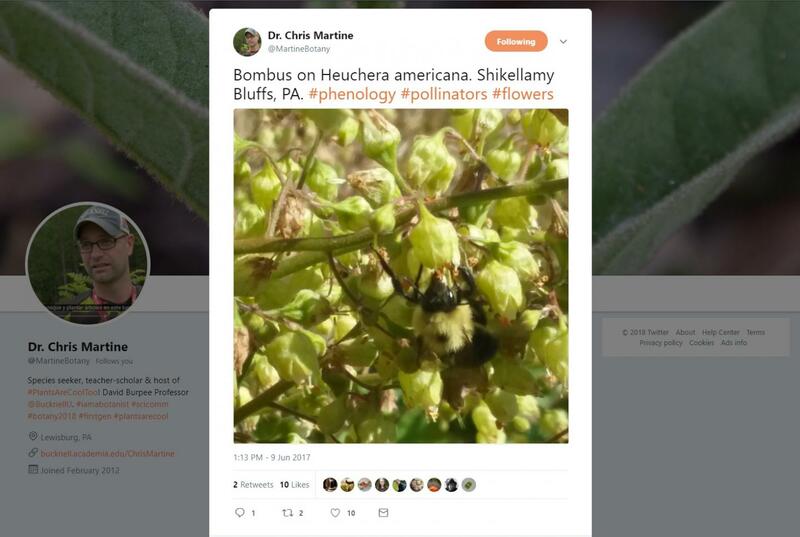 Posting an image of this find on Twitter, little did they know that one casual Tweet of a bumblebee on what he thought was Heuchera americana would not only stir a heated discussion among fellow botanists, but also lead to the unexpected-for-this-region record of the rare and globally imperiled Appalachian endemic Heuchera alba. Read more in the original press release. Telipogon diabolicus: orchid or demon? 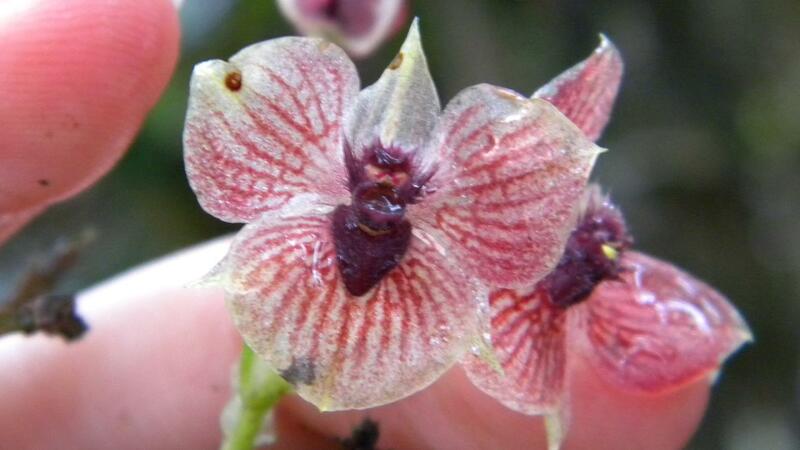 A lone and unique population of about 30 reddish to dark violet-maroon orchids grows on the small patch of land between the borders of two Colombian departments. However, its extremely small habitat is far from the only striking thing about the new species. 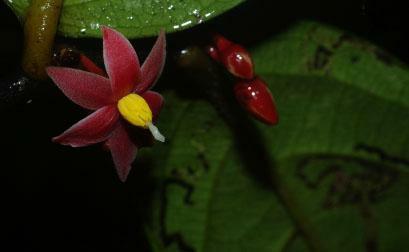 A closer look at its flowers’ heart reveals what appears to be a devil’s head. The new orchid was named Telipogon diabolicus after its demonic pattern. 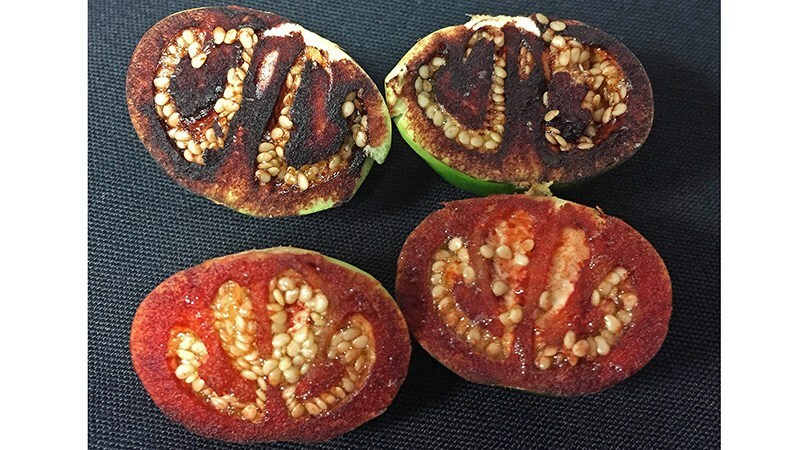 A class of 150 US 7th graders has helped select a name for a newly discovered plant, which amazes with its fruits that appear to be bleeding once they are cut open. Based on this, the plant will now be known as Solanum ossicruentum, best translated to Australian as blood bone tomato, with “ossi” meaning “bone” and “cruentum” meaning “bloody”. Luckily for Solanum ossicruentum, attention and protection are not too much of an issue. Find out why. A new genus and species of flowering plant from the custard apple family, Annonaceae, has been discovered in the jungles of Gabon by French and Gabonese botanists. With its unusual flower structure characterised by red petals contrasting with its bright yellow loosely arranged stamens, the flowers of this newly discovered small tree did not quite fit any of the previously described genera. The extraordinary genus was named Sirdavidia, after Sir David Attenborough to honour his influence on the life and careers of the scientists who discovered it. 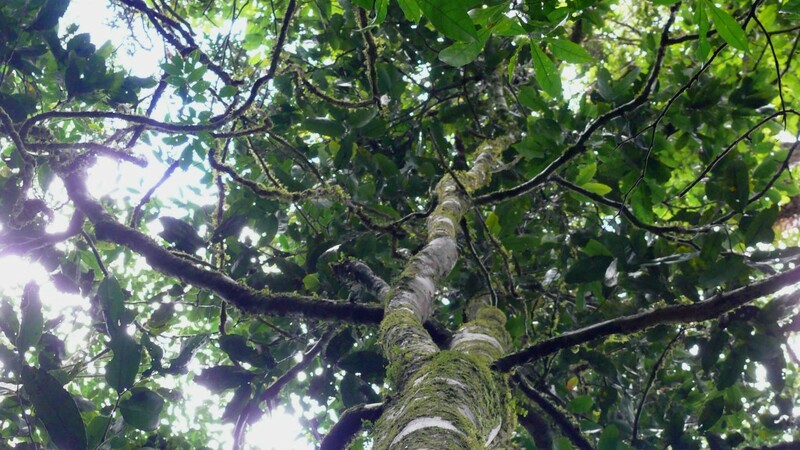 A University of York conservationist who put out a call for schools to name a new species of tropical tree from Tanzania. Following competitive fundraising totalling nearly £4000, Askham Bryan College, UK pipped the Iringa International School, Tanzania to the post. Kindly agreeing to share the name with the the African school in second place, the winning college has now baptised the new species Polyceratocarpus askhambryan-iringae. Find out more about the tree and its cause here.